Find out how to win yours, below! I met Julie Kibler on Backspace in 2007. We had some parallel experiences, and then about a year and a half ago, Julie invited me to join Book Pregnant, a group of 2012-2013 debut authors. And that’s when we really clicked. Last summer I met Julie and her family in real life, plied them with Jewish deli food, and we bonded, knowing that if we didn’t live in Illinois and Texas, we’d hang out all the time. What followed and continues are daily chats, texts, and phone calls. One of the perks of our friendship was getting to read CALLING ME HOME early. It’s a love story, a family saga, and a tribute to friendship and the passage of time. I read it in two days and about six thousand tissues. It’s not a tragic tale, yet the emotion revealed by the characters through Julie often overwhelmed me. Oh, sure, did I text her a few times with OMG and WTF? You bet. That’s the beauty of knowing the author. And now, you can know Julie too. 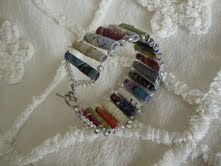 You can also win a custom bracelet, handmade by Julie using her book cover art. Leave a comment here to be entered to win, and find out more ways to win at the end of this interview. 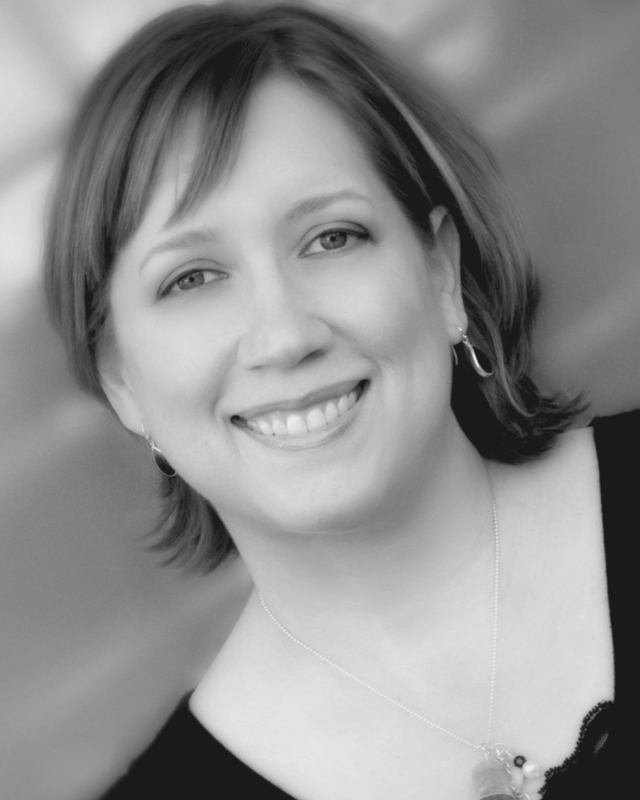 But for now, please welcome my friend, Julie Kibler, to Women’s Fiction Writers! Amy: CALLING ME HOME has two main characters, Isabelle, an elderly woman who is white, and Dorrie, a young woman who is black. You’re neither elderly, nor black. How did you find the voices for these two very distinct and authentic characters? 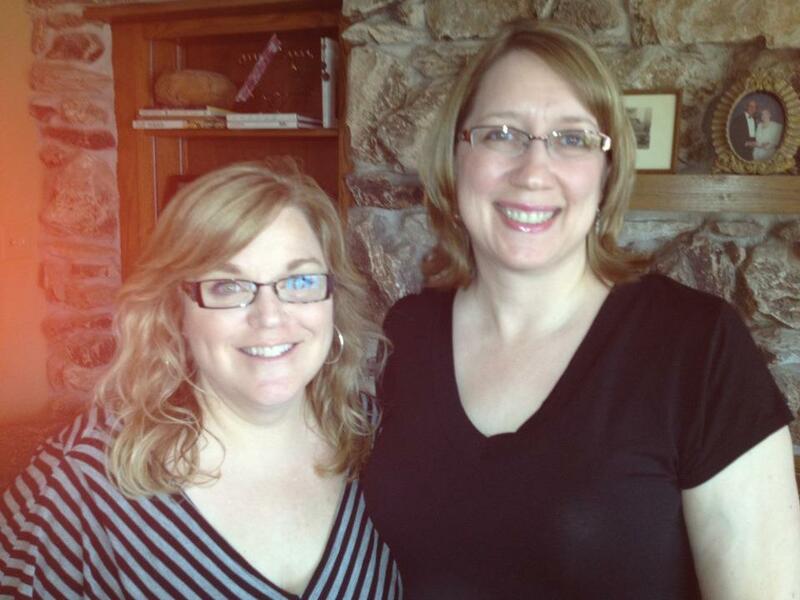 Julie: Thank you so much for hosting me at Women’s Fiction Writers, Amy! I’ve been looking forward to this for a long time. Writing Dorrie was fairly easy. My hairstylist and friend of nearly 15 years inspired her personality. Their stories are not the same, but I simply closed my eyes and listened to the timbre of the voice already inside my head. It’s odd now to listen to the audiobook sample. The voice of Bahni Turpin (who also read Aibileen for The Help) is perfect, yet so different from the one I heard while writing. I was also a single mother for about five years, and Dorrie’s thoughts and feelings were not so different from mine, both as a mother in general and as a single parent. Isabelle was trickier. Her story was inspired by my grandmother’s situation, yet her personality was very different. My grandma died when I was a teenager and she was much tougher than Isabelle, with a gravelly smoker’s voice after a 50-year habit. The elderly Isabelle’s voice was more inspired by women I’ve been around in recent years. My mom was in a nursing home for months after an accident while I was writing the story. I visited her nearly every day, and I was surrounded by a smorgasbord of older women who liked to tell stories. 89-year-old Isabelle is likely a composite of all those experiences. The teenage Isabelle was based more on how I might have been as a teenager in the 1930s. I was shy and, like Isabelle, books were my best friends. But I also was never quite a joiner. I had a rebellious streak, mostly in my mind. Folks who knew me might have been surprised to discover it. So I asked myself how I would have acted and felt in Isabelle’s situation. I have two teenage daughters, and one was exactly Isabelle’s age as I was writing. That helped. Finally—and I’ve said it many times before—I truly felt as though my grandma sat nearby, whispering to me of how it felt to be a teenager in love in an impossible situation. Amy: You’ve shared with me that you come from a family of storytellers. Did you always want to write a novel and tell your own story? When did you start writing? Julie: I started writing seriously in about 2005. I had dabbled with journals and poetry and short stories as a child and teenager, but put my pen away for many years as an adult while my life wasn’t very simple. I was probably gathering experiences during that long, long break that inform my writing now. But I think I always knew I would try my hand at writing a novel eventually. Amy: Can you tell us a bit about your journey to publication? And, how is becoming a published author different or the same as what you expected? Julie: Like many published writers, I wrote several manuscripts, and even shopped one to agents—unsuccessfully—before I hit upon the idea for Calling Me Home. It felt like the “right” thing almost from the beginning. I was lucky enough to send only a few query letters before landing my dream agent, Elisabeth Weed, and we sold the manuscript almost immediately. But considering it took me about six years to get to that point, I was ready to roll. During those years, I worked hard, educating myself about publishing and developing relationships with other writers, some who were published authors. I believe watching and hearing about their journeys to publication and beyond prepared me better than anything for this wild ride, and there haven’t been too many surprises along the way as far as the process. Selling so many foreign rights up front, however, was something I never, ever expected. That part has been mindboggling from day one. I’m going to Italy in May for my launch and to participate in the Torino Book Festival, and to England in June for the launch there. Would I ever in a million years have thought that would happen? Definitely not. The emotional aspects of becoming published are also more significant than I imagined. The rollercoaster of feelings you experience as you prepare to deliver your “book baby” are almost indescribable. Amy: CMH goes back and forth from the present to the past, to tell two stories. One is of present day Dorrie and Isabelle’s drive from Texas to Cincinnati to a funeral, and the other is of Isabelle’s first love. How did you make the decision to intertwine these two stories, and more importantly, how did you keep track of time and place as you were writing? Are you a meticulous outliner? Julie: I was not an outliner before this manuscript. I decided I would give it a try, and it really transformed my process. I wrote faster with a road map, of sorts, though I allowed myself to take detours when necessary and readjust the route accordingly. In fact, I’d say Dorrie and Isabelle’s journey was very much like that—they had a final destination and a mapped route, but things didn’t always go the way they (or I) planned. I knew from the first Isabelle would tell her story to someone else in present day. The question was, who? Then one day, I was getting my hair cut. My hairstylist chatted to me, as she had done for years, about her elderly customers—the ones she went to because they couldn’t come to her— and the idea was born. That my present day protagonist would be an African-American woman stunned me at first. I wasn’t sure I had the “right,” so to speak, to tell a story from this perspective. But I soon realized, beyond a shadow of a doubt, there was no other way to tell it. I took a deep breath and jumped. Weaving the stories together was challenging. I experimented with chapter endings and beginnings even after it was in the hands of my editor at St. Martin’s Press. I didn’t want Calling Me Home to feel like two disconnected stories. I wanted Isabelle’s story to matter, critically, to Dorrie, and Dorrie’s to Isabelle. I think this was partially accomplished by writing both characters simultaneously, alternating chapters, as if they were on the trip in real time, with Isabelle telling Dorrie as they drove. But I read each point of view separately several times while revising to be sure both held up. Like Dorrie and Isabelle, I wanted each half to be strong and independent, yet belong to each other without question. Amy: What is your definition of women’s fiction, and how do you feel about that label? Julie: The definitions I’ve read on your blog over the years have influenced mine! If I hadn’t read your blog, I wonder what I’d think. I guess, generally, it’s fiction written about women, that appeals mostly to women, and is strongly grounded in the relationships women have and the challenges they face. I’d classify many novels as women’s fiction that other people would never dream of putting there, I bet. Likewise, I’d exclude others that some would argue are women’s fiction. Doesn’t that just confirm the lines aren’t clear? Julie: Learn to write through practice. Understand that time will pass more quickly than you think, so don’t get in a rush. Take risks. Work hard and don’t give up. Your “right story” might be just around the corner and a conversation away. Julie Kibler began writing Calling Me Home after learning a bit of family lore: As a young woman, her grandmother fell in love with a young black man in an era and locale that made the relationship impossible. When not writing, she enjoys travel, independent films, music, photography, and corralling her teenagers and rescue dogs. She lives in Arlington, Texas. Calling Me Home is on the February 2013 IndieNext List and is a SIBA Winter/Spring 2013 Okra Pick. It is her debut novel. You can find Julie on her website, on Facebook, and on Twitter @juliekibler. Want to win a handmade bracelet? Here’s how! And, if you’ve purchased CALLING ME HOME, just let Julie know (it’s the honor system) in one of those comments and you’ll be entered to win yet again! The giveaway period will go through Wednesday, February 22, and will be posted on Women’s Fiction Writers. Please leave an email address if you don’t link to it in your comments, so we can easily find you! Thanks for your post. It was quite inspirational. I look forward to reading your book. Julie, I love your journey. I have a few of those trial novels laying about in my study and think I’ve finally found the right story, too. Hearing how you got your book out is an encouragement. Oh, hope it’s the one! Best wishes, and thank you! This post is great from so many different point of views. First of all it’s wonderful to be introduced to another writer of women’s literary fiction, my favourite genre! Secondly, it’s inspiring to be made privy to your journey towards becoming the author you dreamed of being, and especially to learn that yes it does take time, and work, and commitment, and maybe even stubbornness! 🙂 Finally as someone who is trying to understand what it means to be a writer of ‘women’s fiction’, it was particularly informative to read your definition. All in all a post well worth reading. I shall be looking out for a copy of your novel. Thanks! Thank you so much, Edith! Godspeed in your own writing journey! I hope you enjoy the book! Julie, I loved your definition of Women’s Fiction. The “strongly grounded in the relationships women have and the challenges they face” is spot on! Thanks, Orly! I hope you enjoy the book! What a small world and then we get the benefit. Loved the book and cannot recommend it more highly. Truly a special and beautiful read. I am so glad I made the cross country journey with Isabelle and Dorrie. I think of the ladies often. Great interview, ladies! No need to enter me in the drawing, just want wish Julie much success and say that I LOVED CALLING ME HOME!! Everyone needs to read this book!! Thanks, Ellen. Again and again and again!!! I never tire of reading about Julie’s beautiful story. It’s such a wonderful example of how fiction can inspire us to find truths that we might not find otherwise, because they’re lost in another time. Congratulations on a beautiful debut, Julie! Thank you so much, Natalia! See you soon! Terrific interview, and I’m all the more anxious to get a copy of Calling Me Home. That’ll be next Monday at Julie’s reading at Blue Willow Bookstore in Houston. So excited to see you! LOVE your books!!! I am thrilled for Julie and so proud! Her book should arrive today from Amazon and I’m looking forward to the book signing tonight! What’s really crazy is that she went to the same High School that my Mom did in Denver in the 1940’s. It is truly a small world. Thank you, my friend, my mentor (even if the librarian part didn’t quite stick–ha!). I can’t wait to see you tonight. I got so excited about tweeting, following on FB, etc. that I forgot to leave a comment here about how much I enjoyed this interview! Julie my sister (Caucasian) is an expert in African-American ethnomusicology (the cross-study of music and culture) and has faced the same kind of devilish questions you have. I’ll never forget the time she stood before a couple thousand to speak about her work at an all-black college! Good for you for following your gut—your passion is what people will ultimately connect to, not the color of your skin. That sounds like a really fascinated job, Kathryn. Thank you so much for all your support with Calling Me Home! Thanks to the tip from your fellow writer Sere’, I know what I’m reading next. Can’t wait to go browse in the bookstore! Thank you, Carla! I hope you enjoy it! Liked her page on facebook. Thank you! I hope you enjoy the book, and thanks for all of this! Congratulations, Julie! I should start reading later today when I receive the book from Amazon! I hope I’m lucky enough to win the bracelet, it’s beautiful! You have really good luck–I think it’s possible! 😉 Hope you enjoy the book! Amy-Wonderful interview, as always! I just discovered Julie through my local bookstore’s must read list that they send out once a week (Copperfield’s in Sonoma and Napa Counties, CA). I then googled Julie and found she has the fantastic Ms. Weed as her agent. All of the authors that have availed themselves through Writer Unboxed and other sites have really inspired me to believe I can do this too with hard work and the help of fellow writes. I hope to join all of you as a published author sometime in the next few years. Thank you not only for providing me with amazing works to read but for acting as my mentors and friends. 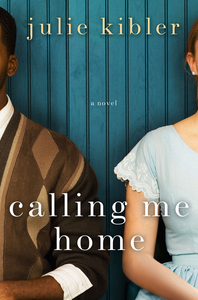 I downloaded the sample of Calling me Home that was available on Kindle and will be purchasing a copy soon. Though I think I want a hard copy that I can get signed when Julie comes my way. How exciting to go to Italy and England to promote your story! Congratulations! Thank you, Cerissa! Best wishes in your writing journey! Wonderful interview, Amy and Julie. I’ve been waiting months to read this book. Congratulations, Julie! So excited for you! Lori, I hope you enjoy Calling Me Home! And there’s you, coming right up with THE LIFE LIST! Thanks for a great giveaway! Liked the Facebook paged and commented over at the other blog! This is the most unique giveaway I’ve ever entered! I’ll be leaving a comment on your blog after I like your author page. I look forward to reading your book, winner or not. It would be awesome however, to win and proudly wear this bracelet as I tell everyone about you!! May success and happiness follow you wherever you go! Glad you like the giveaway idea! I have two of these bracelets I made and I wear them constantly! I think the cover will make an interesting color and pattern for the beads! I’ll have to make myself one, too. 🙂 Thank you so much, and wow, Fort Worth!!! P.S. I live in Fort Worth!! Wonderful interview and would love to win the bracelet. I have enjoyed reading this interview almost as much as I enjoyed reading Calling Me Home. There were so many interesting things ya’ll covered. So happy you enjoyed Calling Me Home and the interview, too! I am purchasing this for my Kobo!!! Love the concept of the book and the story line! Can’t wait! Would love to win the bracelet! Looks beautiful! Hope you enjoy the eBook, Lisa! I downloaded it, and am reading it again there, too! Fun to see it in a different format! Oh wow, the bracelet is beautiful! What a lovely idea. I absolutely loved Calling Me Home! I’ve always enjoyed story lines that go back and forth in time, and you did it so well with Isabelle’s story. And, YES, I bought a book last night for Beth’s birthday gift! Thank you, Jamie! It was so wonderful to see all four of you Tuesday! I purchased my copy tonight. I made it to the bookstore five minutes before closing because I just couldn’t wait till tomorrow. I’ve been waiting for this book for months…and it was my Valentine’s Day gift to myself! Wow, Carmen! Thank you so much, and I hope you enjoy it! Happy Valentine’s Day! Well done, both of you. I love this column and Julie, I love the inspiration of your story and can’t wait to dive in. Excited! !